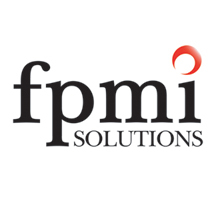 FPMI Solutions, Inc. creates total solutions in human resources and learning services for commercial and government clients in the U.S. and around the world. In addition to FPMI’s current four main core areas, we are rapidly expanding into other areas including education, health services, and logistical management. . Visit http://www.fpmi.com for more information. FPMI’s Learning Services provide a wide range of strategic learning elements such as curriculum design, courseware development, and blended learning activities, all of which are essential for the construction of a self-sustaining and responsive learning environment.